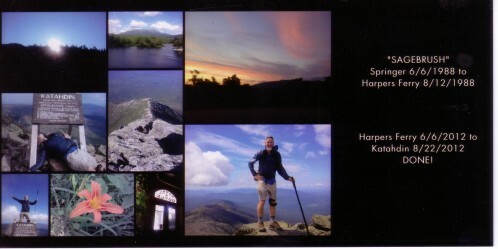 It seems to be a tradition among many long distance hikers to mail out cards or postcards announcing completion of The Trail. (See August 2 Daily Photo). I finally got around to composing a card, only one month late, and mailed to friends, family, and several hostels and trail angels, demonstrating that I finally finished this thing. Did you not get a card and need one? Let me know.